If you are a beginner pickleball player, choosing the right paddle can be the first step in practicing effectively. There are a lot of options out there for pickleball paddles. Choosing the right one for your skill level might feel daunting and intimidating. 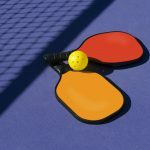 From type of grip and weight to material it is made out of a more, here are the best pickleball paddles for beginners. Packaged as a convenient set of two paddles, the Upstreet Wood Pickleball Paddle Set is ideal for beginners. Wood paddles have long been a great option for pickleball players. The Upstreet set harkens back to those days with an all wood design that is sturdy, reliable and flexible. A lot of paddles on the market also have a simple tape wrap on their handle. These paddles upgrade that wrap with a cushioned grip. This is something that you will find on may expensive and high end pickleball paddles, but beginners can have this on their paddle for a fraction of the cost. The Upstree Wood Pickleball Paddle Set will go the distance. It even comes with a carrying case so you can take the set with you anywhere. 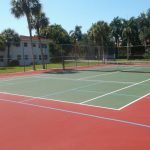 From beginners who are just starting out all the way up to professionals, this set will help you train in pickleball all day long. Lightweight with a premium grip, the Amarey Pickleball Paddle is durable, balanced and a great option for beginners. Lighter than a wooden racket, this racket has a graphite face and honeycombed composite core. This makes it very easy to maneuver and use. The handle is made a rubberized wrap with perforations. These perforations make it easy to grip the paddle even when you are sweating from playing pickleball. The paddle also has an edge guard that protects it when you make ground shots. This is a great feature for beginners because you can practice getting ground shots without messing up your paddle. The Amarey Pickleball paddle also comes with a paddle cover so you can take it wherever you want to without having to worry about damaging it. If you are trying out pickleball but aren’t sure if you are going to stick with it, the Rally Meitser Pickleball Paddle is the perfect option. Made of two-ply alternating gain wood, this paddle is lightweight and strong. It has a well-made handle wrap with a wrist strap. The strap attaches to your wrist during play and ensures that you don’t end up inadvertently tossing your paddle across the court. The paddle is lightweight and durable so it is a good tool for beginners to learn on. You don’t have to worry about the weight messing up your swing but you can be a little rough on it without worrying about breaking it. If you want a pickleball paddle you can trust and learn on these are some of the best pickleball paddles for beginners that will stand up to your lessons and practice and stay with you through becoming a professional player. 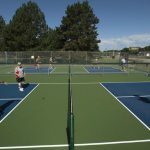 Check out the rest of our pickleball articles here. Thanks a lot for great reviews on pickleball, I am using Upstreet graphite paddle, and its one of the best paddle i found in the market, also rally graphite works well in the court.